The Healing Power of Jesus Christ Is Real and He Can Heal Your Sickness Too! WITH A HEAVY HEART WE SAY GOOD BYE TO EVANGELIST BILLY GRAHAM. BUT THERE IS A LESSON WE LEARN ABOUT GOD IN THIS. GOD SENT US A MESSAGE THROUGH THE MULTIPLE PROPHECIES HE GAVE US ABOUT HIS DEATH. THOSE THAT FOLLOW MY MINISTRY KNOW I HAVE PROPHESIED HIS DEATH OFTEN. HERE ARE THOSE WORD SPOKEN FROM THE MOUTH HORN OF GOD! “You need to pray for Billy Graham, I see a falling away of a great general. God said to pray for The Body of Christ that the great Salvation will still remain. That the body(Body of Billy Graham) will go but the Spirit of Salvation will still remain. For we find a man that brought Salvation in the land like never seen before. My great Salvation Minister. Hear God even right now, the body is living but pray that the spirit stays in the earth. On Nov 8, 2017 I PROPHESIED 40 DEATHS IN THE BEGINNING OF 2018. Jesus is coming back soon! “I SEE A BREAK AND A BREACH IN A BRIDGE IN THE MONTH OF JANUARY.” Unfortunately that bridge collapsed, killing many people. SPOKEN PROPHECY 2/12/18 “I hear the Spirit of the Lord saying that a strong wind is coming to the NorthWest. I see a strong wind, something that represents the lighter side of Euroclydon. The lighter side of a cyclone, not as big as a cyclone, but a little bit lighter. A storm is coming, can’t you see the storm in the air. God said I am going to speak to the storm. I see a storm coming from the North West side of the hemisphere. I hear the Spirit of the Lord saying that I am not impressed, with secular rapper, rapping about The Kingdom, this is A Spirit. God is saying that this is A Spirit that is trying to move in, creep into My Body. God said that in the last days you won’t endure a sound doctrine. God is saying that bitter and sweet cannot come out of the same mouth; where is the discernment, we need to be praying all the more now. God said choose this day whom you will serve. You cannot be a master in secular music and be a master in gospel music, but choose one, choose one, chose one. God is talking choose one, choose life. ON JAN 8TH I PROPHESIED THE BATTLESHIP GAME GALACTICA WILL TURN INTO ADVANCED WARSHIPS WITH TECHNOLOGY AT THE FORE FRONT! PRAY CHURCH, GOD IS SPEAKING THROUGH THE PROPHETS! HEADLINE READS: ‘SEA HUNTER,’ A DRONE SHIP WITH NO CREW, JUST JOINED THE U.S NAVY FLEET. IT CAN STAY OUT TO SEA FOR THREE MONTHS. ON JAN, 30th I PROPHESIED FLOODING IN THE SOUTH. DID YOU KNOW THERE WAS A CYCLONE IN THE SOUTH PACIFIC OCEAN ON AN ISLAND CALLED THE TONGA NEXT TO FIJI ON 2/12? GOD SHOWED THE FLOODING IS HIS TEARS BECAUSE MINISTERS ARE NOT CONVERTING LOST SOULS AND BRINGING THEM INTO THE KINGDOM. THEY ARE PREACHING FOR MONEY, POWER AND RESPECT. “My people are coming home early. I am causing a season of flood in the south, and when the flood comes know that it is a sign of God’s crying. God said that when I cry, I cry out flood. You have one tear that hits the pillow, but My tears are flood, for I am a God of flood. Hear God right now that in the next 30 days it is getting ready to flood in the south. His eyes are crying for the lost and for those that are not bringing the lost. I told you to bring them into My Kingdom, to go into the highways and byways and compel them to come in, so that My house and My Kingdom will be full. “I see a sign and a mark in the heaven it is coming in the matter of 7 days. I hear the Spirit of the Lord; (vision) I see the sun changing, look for the signs. This is the sign of the time, the sign of the charismatic movement, and the sign of the Holy Ghost. It is a sign that Jesus is coming soon. “God said to let you know, That we are in an environment that is not as stable as you think. I hear the Spirit of God saying that a virus is going to break out in the earth. He said IF YOU THOUGHT THE BIRD FLU WAS SOMETHING ELSE YOU OUGHT TO SEE WHAT’S COMING NEXT. God said “The reason all these things are coming is so that you would know that My Son is coming soon and very soon. The Bible declares. I am not speaking but The Holy Ghost is speaking the Godhead is speaking, He said that there will be pestilence in the land, hardening of the heart will come in the land. On Jan 8, this year I prophesied a meteor. A meteor struck last night in Michigan BUT I saw a larger meteor with greater impact just miss us. They scientist say it is on the way in a few days but are unsure of the orbit (landing). God is throwing rocks around as a sign that the end is near. If we would praise God the rocks will not have a chance to praise him. I know you didn’t think the bible was talking about little pebbles 🤨 🤨 🤨#PRAISEGOD FOR HE IS WORTHY! I AM COMING TO A CITY NEAR YOU! 4 CORNERS OF THE EARTH TOUR!! Several martyrdom stories associated with the various Valentines that were connected to February 14 were added to later martyrologies, including a popular hagiographical account of Saint Valentine of Rome which indicated he was imprisoned for performing weddings for soldiers who were forbidden to marry and for ministering to Christians, who were persecuted under the Roman Empire. According to legend, during his imprisonment, Saint Valentine healed the daughter of his jailer, Asterius, and before his execution, he wrote her a letter signed “Your Valentine” as a farewell. Wikipedia HAPPY VALENTINE DAY! The Definition of Harbour~ is a place on the coast where vessels may find shelter, especially one protected from rough water by piers, jetties, and other artificial structures. THIS IS THE SHORTED MAGAZINE BECAUSE THIS IS THE SHORTEST MONTH AND THE MESSAGE IS SHORT AND CLEAR. HARBOUR THE BODY OF CHRIST. The definition of the word p-r-e-c-e-d-e-n-c-e is the condition of being considered more important than someone or something else; priority in importance, order, or rank. PROPHETIC EARTHQUAKE ON 9/13/17 I PROPHESIED AND EARTHQUAKE IN AUSTRALIA. ON NOV, 20th THERE WAS A MASSIVE EARTHQUAKE ON THE COAST. ON 12/21/16 A TSUNAMI WAS ALSO PROPHESIED. HEAR THE CLIP #Jesus Wants Praise & Worship! A MAJOR VOLCANO WOULD ERUPT! ON NOVEMBER 21, 2017 I PROPHESIED A SNOW STORM THAT WOULD COME IN THROUGH THE WEST! THIS HAPPENED LAST WEEK!! 42mins 25s I see a strong wind coming in, a strong wind from the West. God said to let you know; I see a blizzard coming in from the west, a strong wind is coming in from the west. What is a blizzard? A blizzard is snow, it is blowing wind so strong that you can see, because the snow particles gives zero percent visibility. God said to let you know when is it going to happen? I see in 9 days a blizzard coming in. God said He will get the glory. HURRICANES HARVEY, IRMA & JOSE, BLACKOUT AND TERROR ATTACK IN NEW YORK, FOREST FIRES, VOLCANOES HAWAII & ITALY, TSUNAMI AUSTRALIA, FLOOD LOUISIANA, TEXAS, AFRICA, MUDSLIDE CALIFORNIA, EARTHQUAKE ARGENTINA, CALIFORNIA, HIMALAYAN MOUNTAIN(IRAN), NUCLEAR SPILL EUROPE, OIL SPILL DAKOTA PIPELINE, DEATH OF KIM JONG NAM, WINTER STORMS EUROPA, SUPERCELL TORNADO KANSAS, EARTHQUAKE PHILIPPINES and the list goes on and on…. (Ephesians 3:6 That the Gentiles should be fellowheirs, and of the same body, and partakers of his promise in Christ by the gospel: ). To stand on the promises of God is to not forget his promise to you. God has sent me to remind you of his most intimate promises to you and that they will not be forgotten. If God has promised you a spouse it shall come to pass. If God has promised you a new level it shall come to pass,. If God has promised you a renewed and healed relationship it shall happen. If God has promised you the finances it shall happen. Allow The Spirit of The Lord to encourage you in his promises! In his promises are Thank You and Amen! When You Become A Partner With Me, God Has Promised You Financial Freedom. WE ARE PRAYING WITH YOU! 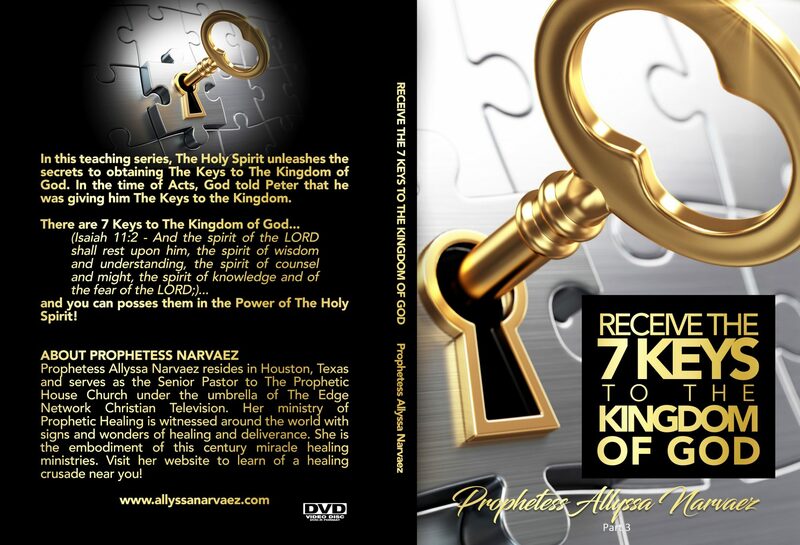 ORDER THIS PRAYER COLLECTION TODAY!! On Monday September 11th, 2017 I prophesied and Major Earthquake in the Himalayas. On 9/27 God showed everyone in Government will turn their backs on Puerto Rico. The news is reporting the Government is leaving the Island. God said he would never turn his back on you even in your darkest moments. Remember there is another prophesy that another hurricane will hit there. We will watch and pray!! “Prophesy 9/27/17 hear the sound of God that the United States administration is going to fail Puerto Rico. But for those that are willing to build a relationship with me, that when the government fails you I will lift you up. Hear the Spirit of the Lord even right now, I see Puerto Rico as a desolate island. Like the island of Patmos that they moved John to. I see Puerto Rico with no light on it. On 9/27 God showed flooding would happen on the East Coast of Africa in 14 days. In the video below the Prophecy is stated in 1hour 13minutes and 23seconds!! God Said, “Can’t you feel the Lord he is better than crack cocaine. Listen God is saying if they think they are getting ready to pass a nationwide law approval of marijuana, He said they have another thing coming. Listen they are trying to get it approved in the senate now, where the whole nation can buy marijuana. But God said I told you that I have My Angel standing on the laws. These Chain Of Events Happened As Prophesied! CELEBRATE OUR 1 YEAR ANNIVERSARY WITH US!! adjective 1.having the status of a king or queen or a member of their family. Thus sayeth The Spirit of God, “I have defined you; for the words spoken are from the mouth of the anointed priest. A priest is one who has the governing authority to walk in Realms of The Spirit that are made for angelic beings. For this month is the month of royalty and you commander is speaking, for out of your mouth have flowed the issues of your heart but in this moth will now flow the overflow of royalty. No longer are you held captive in silly ladens but royalty has commissioned itself to you. I have ordained you to be set apart from the rest of this world and I have set you high above other nations so this makes you royal in my eyes. My son is Royal in the heavens and set above every principality and I have set you as a joint chief heir. Chief Priest, Chief Apostle and Chief Pastors are the new titles that man has given my chosen but I call you Royal and a Priesthood Royal Priesthood for the family that you belong to is my kingdom and this month I have given you favor amongst men of a smaller priesthood. For those that have captured this moment I have set you above others in the ranking of Royalty. For my reward in heaven is based on the loss and gain of reward. The greatest of these is Love and the greatest of love is those that are willing to die for a friend. Your first love is Royalty and your First Love is Christ born into this world. As you enter into this month of November remember you are favored in this earth and YOU are of a Royal Priesthood and you will expect the largest Royal Miracle of you life in this month of November for November is the month of stepping up into a Royal Priesthood seated in heavenly places. My placed! Forever and ever!”, Thus said The Spirit of The Lord. I had the Inspiration Gift of Prophecy from my mother’s womb. Jeremiah, The Word of The Prophet says that before God formed us he knew us and ordained us. This was the birth of the Prophetic Gift that was there from the beginning. In God’s timing, he will connect to what has already been planted and he will active the gift inside of us. Gift Activation is the most important part of a Christian’s walk in Jesus. It embodies the power of the Cross on earth and it bears witness that Jesus is alive. The Scripture says there is POWER in you. Active your Power by staying at the feet of Jesus. Let the Prophetic University Stir Up the Gift in You!! Learn About and Identify the Gift You are Carrying! Our services are packed out with The Holy Spirit and Angels! You are sure to receive a breakthrough!! The heavens are ready to explode because of the cries from God’s lost. God is beginning to hear the prayers of the lost souls on earth pleading for help. The Hurricanes have caused prayer, the earthquakes have caused prayer, the wildfires have caused prayer the fallen stocks have caused prayer. God is saying, “Gather Body of Christ with your weapons. It is time for OVERCHARGE!” Prayer is your weapon, use it wisely. Prayer is you key use it abundantly, Prayer is you buoy toss it freely. The heavens are hearing the prayers of the lost. Pray for the lost! Pray that salvation will find them. The heavens are being bombarded with prayer and God is overcharging His Spirit to RESPOND! The response we receive from God tells use how our prayer is measured. No response means no prayer. What you put out is what you get. Heavy prayer means a heavy response. Your prophetic message is this; You are half way there. This magazine has made the 1/2 way mark because it has met the 6th edition and it is time to celebrate! Rejoice because you have made it 1/2 way there. Rejoice now and celebrate your milestone and OVERCHARGE THE HEAVENS! 1 DAY OF PRAYER AND FASTING! “I speak to the prince of the power of the air that attacks in COPD. God said ‘Let me explain something to you, I will heal you right now but I need you to repent. Repent Jrenee today, we ask for forgiveness of every sin, of every bitterness, of every non-forgiveness of others that have hurt us. Satan is the prince of the power of the air and he assigns COPD to people with non-forgiveness. We ask for healing even right now, we ask for forgiveness even right now.” Help me out angel, I can’t do anything apart from God, you cannot do nothing apart from God. I command the angel of healing that I saw step in the line. I command that he would heal Jrenee of COPD. I call on a hyper release of healing even right now. I call on the hyper release of healing even right now of Jesus even right now. God said to look for your 7 days breakthrough. Yes you can feel it right now. I felt the chest cavity untightening. God said, “Let me explain something to you about COPD. COPD is because the muscles that surround the lungs tightens and it squeeze the lungs almost to death. And thus says the sound of God I command that the enemy would take his hand off of the muscles squeezing off, of the lung. Thus says the sound of God.” I clean out the scar tissue that I see inside of the lung cavity, in the lung chest, in the cavity of the chest. Help me out angel, clean it up. I see the angel of God sweeping up the scar tissue that is there right now. The things that we have taken inside of our bodies can scar us. The hurt that we take inside of our body can sometimes scar us. But we serve a God of a turnaround of the scar. I command that your body be healed of COPD in the Mighty name of Jesus. This is the reason why I want it healed, so that the people may glorify Jesus, so that the people may exalt Jesus, know that Jesus is the Healer. So the people may know that Jesus, you are alive, and this is why I want You to do it. This is why it is the will of the Father that all men be drawn to You, so that You may be lifted up. I lift You up God, I lift You up Jesus. I am not the healer but You are the Healer. And I lift Your name up, Your Kingdom up, Your Seed up and I lift You up God. Move by Your glory so that Your will may be manifested in the earth. Jrenee, God said to let you know that He is the Healer. Can’t you feel the breakthrough, can’t you feel it even right now. God said it feels as if 10 bricks has been lifted off of your chest. There is a combination of things in the back this is why it hurts. One has to do with COPD, but oh my God Jesus what is that, as God releases that you will feel a release in the upper part of the back. God said another reason why the back hurts, there is an old injury there. I speak to the back even right now, everything inside of the back because of the old injury God; thus says the sound of God there is an injury from a lift. Thus says the sound of God there is a pinch nerve, release it. I speak to the angel inside of the line of healing and I command it to release; I see the angel of God lifting up the disk in your back and I see him blowing out the pinch nerve on today. Ah… there it is right there, there is no more pain. We magnify God so that He may be glorify. Oh what is this I don’t feel no more pain. Now listen God said in His word, after He heals He said, go and sin no more unless a worst thing come back on to you. And we thank you for the healing . One leper went back to God to say I thank you. Oh we thank You God, we catch on fire with thanks with thanksgiving and praise. I thank You for Your Healing God, deliverance, mercy, truth, love, Spirit, sacrifice, dying on the cross. I thank You for preparing a body even right now. Oh how I thank You . I thank You for the healing of Jrenee even right now of COPD. The sign that Christ is coming back soon can not be ignored but only embraced with the Free Gift of Salvation. Spread these tracts of salvation! LOOK FOR THE NEW BOOK BY PROPHETESS ALLYSSA NARVAEZ INCLUDING DREAMS AND VISIONS OF THE THIRD HEAVEN! INCLUDING THE THIRD LEVEL OF HELL IS TORMENT DREAM …. You must believe the Prophetic exists in order to receive a Prophetic Word. God said in Joel 2:28 And it shall come to pass afterward, that I will pour out my spirit upon all flesh; and your sons and your daughters shall prophesy, your old men shall dream dreams, your young men shall see visions. You will be in The Lions Den as was Daniel when his oppressors threw him in The Lion’s living quarters to become devoured. The Prophetic will choose you when you are ready to give up, it will slip in The Den and be The Spirit of The Lord to close the Lion’s mouth and prevent the devour. It will build you up stronger when you receive it. 1Corinthians 14:4 He that prophesieth edifieth the church. You can receive Prophetic word from The Lord by asking. So you see God will send you encouraging words of The Holy Spirit when you seek his presence! VISIT US ONLINE AND SOW YOUR SEED INTO THE PROPHETIC HOUSE CHURCH! WHAT IS A PROPHETS REWARD? The Bible speaks of receiving a prophets reward in: Mathew 10:41 He that receiveth a prophet in the name of a prophet shall receive a prophet’s reward; and he that receiveth a righteous man in the name of a righteous man shall receive a righteous man’s reward. SALVATION…A true prophet sent from God will give you a hope of an expection reward of your soul. Prophets offer repentance to the SUBMISSION of God. A prophet will lead you to submit to God. Hagar was told by the Angel to go back and submit to her authority. A true Prophet will give you words of correction if you have been in error that will lead you to go to Christ and submit to his authority of obedience. The prophet is sent to correct sin. MIRACLES…A true Prophet will perform miracles. Jesus was a risen Savior but he was also a Prophet. Trusted Prophets can shut up heavens as did Elijah. (1Kings 17:1 And Elijah the Tishbite, who was of the inhabitants of Gilead, said unto Ahab, As the LORD God of Israel liveth, before whom I stand, there shall not be dew nor rain these years, but according to my word) Trusted Prophets rewards are miracles performed in your life as the woman that was sustained. Prophets feed you with food, water, clothing and daily provisions SUPERNATURALLY! (1Kings 17:16 And the barrel of meal wasted not, neither did the cruse of oil fail, according to the word of the LORD, which he spake by Elijah.) When you receive the Prophetic Words of a Prophet as in Mathew 10:41 you receive the blessings from God because the Prophets are sent to you by God. This article will be continued in September’s Issue. Look for it. If you are called to the Prophetic purchase The Book by Prophetess Allyssa Narvaez The Prophet’s Spiritual Demise on Amazon, to help in your Prophetic Journey on hearing from God. Get Your Copy Here! GIVE TO THE EDGE NETWORK CHURCH! PROPHETIC ANGEL from Page 20 of the book The Prophet’s Spiritual Demise, by Prophetess Allyssa Narvaez Get Your Copy Here! I dreamed I went on vacation. I went to the Bahamas. I knew it was the Bahamas because I heard a person say, “THE BAHAMAS!” as we entered the country. There was an “oasis of water” everyone went to visit. This oasis was the main attraction of the country. It was also known as The Pool of Siloam. This pool was shaped like a layered cascade of water. There were people at the top of the pool and there were people at the bottom. There were not many people maybe 10. I believe the day was early and the crowd was light. It was known to become populous later in the day. The connecting pools represented “Hot Springs” with the heavy mist on top of the water and the sound of oxygen bubbles was very calming and inviting. The waters were beautiful. As I stood in front of the springs I heard two angels speaking. One angel said to the other angel, “I have to go stir the water!” In their conversation amongst each other I could hear the rushed conversation. The angel spoke as if he did not want to be late for his assignment of the healing pool, and the other Angel sounded as if he did not want to be late for his appointment either. The Angel I could see, that would stir the healing waters stood very tall and strong. His broad torso reached 15 feet. His head represented a man. He had a elongated neck and light brown hair. His sharp nose represented his keen fighting ability when needed. The anointing that rested upon him let you know he could easily lift, a fleet of armored tanks with one scoop of his winged arm. The length of his robe he wore was long enough to fit wings in down past his feet. The robe was so long and his arms were long with feathers hanging from them that made up wings with the garment overlaying the wings and arms that were connected to each other. He was strong. His garment was so white only the purest person could wear them. He looked like a man and he was beautiful. He represented The Safety of God. I felt safe in his presence. I knew I was safe from all dangers. He was strong, wise and anointed. He was the angel of the pool of healing. I didn’t want to get in the misting waters because I knew I didn’t have a debilitating disease. I knew when you use the gifts of God frivolously it was not a high regard for respect. I did not want to take the waters in vain. The waters were just this pure. I just stood back and admired the people getting in the waters. As I could see the people in the waters in a distance I saw a woman wearing a bathing suit and bending over as she got comfortable to the temperature of the waters. She was white with olive skin. Her two piece bathing suit was a mixture of pastels, yellow, green and the color pink dominated the color pallet. There was a man standing next to her wearing navy blue, knee length swimming shorts trimmed in gray. Thus Sayeth God, “This dream gives the illusion of healing that is available to the nations. What the dream doesn’t give is the source of all healing. The source of all healing comes from my spirit. The angels belonged to me but the source of their power is found in the healing demand of the Prophet; YES! The prophet gives the summon to the heavens and the heavens respond with open gratitude. Thanks to the King of King and the Lord of Lord. The open response of healing being available to anyone. Anyone that believes I can or cannot heal them; healing is found in the prophetic voice. The prophetic voice commands thing to come into the existence of my light. As I am writing on behalf of the Author right now she is commanding the healing in HER ministry to resonate to the nations through the sound of Her voice: THE PROPHET. August is the month of your Honey Thus Sayeth The Lord of Host! Honey is Sticky. He is placing you in sticky environments to use you to transfer The Wealth. When The Lord placed the children of Israel in The Land of Honey he used them to allow the Harlot Rehab to stick to them. Everyone can’t go with you to The otherside of God’s glory only those that will warn you of the enemy, as Rehab warned God’s people. The transfer of Rehab’s dark works into the works of light. Rehab had a right heart. Saul had a right heart and God is transforming those with right hearts to help you carry out your vision. It is a sticky situation! Honey smells sweet. This land God is shifting you into is a sweet place that only the ready can go. You have proven the test. You have exceeded the expectations and now it is the time of the reward. Your land of milk and honey smells so good you can just taste the thickness, sweetness and the blessing of The Lord. This month I prophesy that your Honey will manifest and your land will flow as the rivers of living water that flows freely into the fountain of youth. The river of God keeps everything young, sweet and continuously flowing. I prophesy that you enter into your land that flows with milk and more and more and more H. O. N. E. Y! Only you can stop the cycle of abuse. Warning signs of abuse are: Never having money for your personal needs. Abusers drain the victim by denying them finances for themselves and children. Abusers operate from a spirit of control and dominance. The abusive mind thinks that if it can control the victim they can manipulate their own selfish motives. They are seeking to deceive the victim. The art of deception is the abusers main driving force. Manipulations allows the abuser to advance his/her hidden agenda. Abusers are professional liars. They have studied the art of lying. They will make you believe that it is your fault, for the bruises on your own body and in your heart. They say things such as: “You made me do it! You don’t hear me the other way. I’m all alone!” They play the victim and wounded wolf and then they say you are against them. Everything is your fault because of how their life turned out. They never take accountability for their own actions. They do not want you to know that the only person that can control their choices and actions is them. Know the warning signs of abuse through isolation. Abusers will try and isolate you from family and friends. If the abuser is able to make you 100% dependant upon them you will not be encouraged by someone to S.T.O.P their cycle. Lastly abusers are extremely J.E.A.L.O.U.S! They are jealous of anything that show YOU love. They are jealous of your children, your job, you friends and even you. They are jealous of your accomplishments. They burn with envy and hate. Jealousy eventually performs M.U.R.D.E.R! Stop the cycle of abuse that leads to murder of you body and your spirit! If you are being abused, turn to God and leave! Stop all communication and run from death into live. The life of Jesus Christ that died on the cross. He took the abuse in his crucification for you. He was abused so you can be set free. Jesus is your way out1 Pray to Jesus that your abuser would be caught captive and set you free. Jesus is your free ticket out of The Abuse. Stop The Abuse!…..Turn, Run and Rejoice! I know this because I was a victim of an abuser and Christ set me free and I escaped! You can too! REMEMBER TO DOWNLOAD THE MOBILE APP AND STAY IN TOUCH WITH PROPHETESS ALLYSSA NARVAEZ, ON THE APP YOU CAN READ THE BIBLE KJV, READ PROPHECIES, GET ENCOURAGING MESSAGES, JOIN THE INTERNET CHURCH, TAKE CLASSES AND SO MUCH MORE! EARTHQUAKE PROPHESIED IN THE PHILIPPINES HAPPENED!